Yesterday marked a BIG VICTORY in our home! I made a new recipe for bread that I found at WholeIntentions.com and adapted it a little. You need to try this one. Seriously! This bread has a tender crust and is soft and light on the inside. It doesn't crumble. You can slice it thin and it doesn't fall apart. I'm so glad the recipe doesn't call for kneading and punching, because I don't know about you, but I get intimidated by those recipes. This is so easy to make. It tastes a little like an English Muffin Bread and is even wonderful the next day. This is definitely our new "go to" bread recipe. Noah, our gluten eating son and toughest food critic, surprisingly LOVES this bread. He has not liked any other Gluten Free Egg Free bread we have had at our home. So when he told me he liked it and wanted more, I did a little victory dance in the kitchen. When I was making him a sandwich today, he actually asked for this bread instead of his regular whole wheat bread. And that is amazing! So thank you again Paula @ WholeIntentions for sharing this delicious recipe. Wondering if making this at home is worth the price? 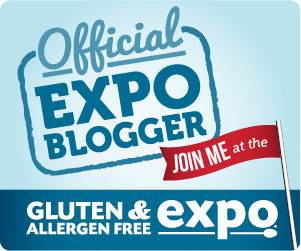 Read my Cost to Make The Best Gluten Free Vegan Bread blog post...you may be surprised! My hopes are that you will have such success with this recipe and love it so much that you will want to try these other recipes that use the same bread dough as a foundation. The dough is so easy and quick to make, go ahead and try it in these as well. 2. Combine GF Flour Mix, xanthan gum, salt, sugar, and dry yeast in a medium sized bowl and whisk together. Set aside. 3. In mixing bowl, combine the coconut oil and warm water together and then add the dry ingredients. Mix on high for 2 minutes, this activates the yeast. It should resemble a thicker cake batter. 6. Place bread in preheated oven and bake 45-55 minutes. After the first 10-15 minutes, tent tinfoil over the bread for the remainder of the baking time to prevent the crust from darkening too much. 7. Test the bread with a toothpick. After you’ve removed the bread from the oven, immediately rub the top with butter (or to keep it vegan, try a little melted coconut or olive oil). Remove loaf from the pan to a wire rack to cool. This is great for Sunflower Seed Butter sandwiches, paninis, grilled cheese, toast, or fresh with Homemade Strawberry Jam. My family prefers this recipe over the Bread Machine Gluten Free Vegan Bread recipe, but I will still use the bread machine recipe on days that I need the convenience of a bread machine. This recipe has been shared on Slightly Indulgent Tuesdays, Gluten Free Tuesdays, Gluten Free Wednesdays and Gluten Free Fridays. I'm so glad the bread worked and that your little gluten guy even enjoyed it. :) I can definitely remember doing that same happy dance! I just tried your recipe. This is the worst excuse for bread I have ever tried! If it was round I could use it for a bowling ball! ginny, I bake this bread with Namaste organic gf flour and it is light, tender and perfect. Looks just like her photo. The only time it came out overly crunchy was when I forgot to put the tent of foil over it after the first 10-15 minutes of baking. Hi Nancy, do you still use the xantham gum with the Namaste flour? Thank you Paula! You made my day with this wonderful bread! I do not. I have not ever been one to attempt making bread until recently, out of necessity. 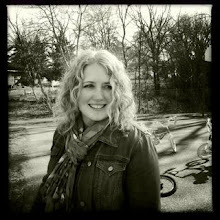 If I could try a recipe that included eggs, I would try Nicole Hunn's at www.glutenfreeonashoestring.com. The photos of her bread are beautiful and they look delicious. However, I will say that even if we could do eggs, I would still love this bread recipe, it's a great one to try. Good luck! Just tried this recipe. Unbelieveable!!!!!! Had a nice crust and sooo soft and tender inside. It reminded me of the Danish pancakes I used to make on Christmas morning. That's how wonderful the taste is. And, the ease of making the dough for anyone with arm, hand or shoulder problems - no worries - mixer does all the work. I am blown away! I made this bread and I am sooooooooooo grateful for your post of the recipe. You are right. It is so good! I had a little trouble with the "let cool completely before slicing" however. I couldn't wait. I will be making this bread a lot. Finally--something that looks and tastes like the bread I remember. Thank you Thank you. I'm making this bread today for the church I work for. We've decided to use just one single bread for communion--one that everyone can eat. So gluten-free and vegan fit the bill. I got all the way to the end of the recipe and see that it calls for brushing with butter! Maybe it could be olive oil ... or Earth Balance to keep it vegan? I'll try the olive oil as that's what I have. Thanks! Good call Alyce! Thanks for the heads up, I edited the post to make note of that :) I'm so glad it will be a helpful recipe for you. Yum!! I don't think I've ever seen vegan GF bread look so...normal! lol What would you suggest as a substitute for the coconut oil? Would almond milk be okay? I'd recommend substituting the coconut oil with extra virgin olive oil, but the almond milk might work :) Please let me know, thanks and enjoy! Do you think this bread would do well in a bread maker? I'm not sure how it would do in a bread maker. If you give it a try, please come back and share if it works for you. Thanks! Oh, that is a bummer. I think you might be right on track though that it could have been partially due to the buckwheat flour. Also, my bread doesn't rise as high in the winter months. The humidity and warmth of summer days help it rise. Hope you try it again with millet flour. Your yeast may be dead if you use water that's too hot, or if you've had the yeast a long time. The buckwheat flour may be a factor, but no rise at all is usually yeast related. I love this bread, so far it is the best gluten free bread I've tasted, and it's so easy! I'm SO glad you love it too! Thanks for this recipe. It's difficult to find a GF bread recipe without eggs/egg replacer! Mine came out delicious--I was hoping against hope that it wouldn't be rock hard, ad it was great! You are so right, finding a gluten free bread recipe without eggs is a difficult task. I'm so glad you like it! I'm looking forward to trying your recipe, however, I don't use oils - any oils - too unhealthy all the way around. Have you ever tried substituting with a nut butter instead? Which one? I don't have any experience substituting oils with nut butters, due to nut allergies in our home. It is an interesting idea. This is my 5th attempt at making any kind of gluten free bread with not-that-great of results. I can see why this bread is so much more expensive. Made this last night and even though the bread didn't rise as much as hoped for, it was fantastic! Going to try it again today and mess with the yeast... that *might* be my issue. Hey Rosie! These winter days can really impact how much your bread will rise. Mine rises beautifully without effort in the summer but I have to work a little harder at it in the cold months. 1. First of all, make sure all your ingredients are at room temperature. 2. Then, my mixing bowl and loaf pan are chilly in the winter when I take them out of the cupboard so I warm them up before starting. Last week when I made a loaf, after it finished baking I placed it in a warm, more humid spot in our home to cool and it didn't fall. 3. When measuring your ingredients, spoon them gently into the measuring cup and then level with a knife. Took another go at it last night and OMG I DID IT RIGHT!!!! It's now my job to make bread and I couldn't be happier about it. Thank you so very much Melanie! Yay!!!! You are welcome, I'm excited for you! I have tried to make gluten free vegan bread 25 times. I have made every mistake in the book and all 25 were failures in one way or another. I actually gave up. Today on a whim I happened upon your recipe and gave it a shot. I followed your directions exactly except could not find arrowroot locally so i substituted with more tapioca and potato starch. Finally, success! I ended up with a tall, light and delicious bread, not a short, dense brick i had become so used to. Can't thank you enough. Btw i used red star act/dry yeast. Thanks for letting me know what yeast you used. I've always used the Fleischman's brand. I was just in Costco and found a 2 pound package of Red Star Yeast for a little over $4! I couldn't believe what a great price that was, so I will be giving it a try. I love, love , love this recipe! The bread is incredible - better than any gluten free bread I've had, and it also makes fabulous buns. I was craving a sweet yummy this morning and used it to make monkey bread. It's just come out of the oven, and looks and smells delicious. Can't wait to dig in!! Party starts tomorrow night (thursday) at 7:05 pm eastern time! Hope to see you there! This bread is a winner!!! I've made countless varieties of gluten free bread (wheat allergy) and a few were even vegan but none as easy and yummy as this! I had the flours on hand but was 1/2 c. short of millet flour so I used a multi-grain blend I already had mixed up to make up the difference. I baked one loaf of bread and one pan of rolls adding a teaspoon extra of salt and one tsp. each garlic powder, minced dried onion and Italian seasoning to the roll batter. OMGoodness are they yummy! Thank you, thank you! This is it for me...the go-to bread for our gluten free family members. WooHoo!!! Hooray! What a great idea to make a savory version of the bread! I'm so glad you like it! Would I be able to use Gluten-Free All-Purpose Baking Flour? I'm not sure. The flour mixture (Paula's) I use for this is heavier, a little heartier looking than my regular all-purpose Natalie's Gluten Free Flour Mixture I use. Natalie's is really light and fluffy while the bread flour (Paula's mixture) is a little heavier looking with the millet and sorghum flour in it. Let me know if it works and which GF All-Purpose flour mix you try. Melanie, thank you so much for posting this bread recipe! It's now my go-to bread. Both this one and the cinnamon raisin are delicious. I've made hamburger buns with it as well. For the flour mix, I use 2 cups of Shauna Ahern's gf mix, 70% whole grains/30% starch by weight (Gluten-Free Girl and the Chef), and 1 cup tapioca starch. It works very well. So good to find a good egg-free bread recipe, thanks again. Wonderful Leslie! I'm so happy to hear you like the recipe! The buns sound like a great idea, I will have to try that as well soon :) Thanks for sharing another option for the flour mix that is successful. Everyone has such different allergies/intolerance so that will be helpful for readers. My expierience in the past with GF bread is that the batter should stick to the paddle on the mixer rather than dripping off. It seems really wet! It isn't runny like water but it does drip off the mixing paddle. Is that normal? The bread looked so yummy in the picture I wanted to try it. Thanks for your help! The consistency is more like batter than dough. It will run off the mixing paddle but I do have to use a spatula to get it all off. Make sure that when you measure the dry ingredients, you lightly spoon the ingredients into the measuring cup and level with a knife. Did you give the recipe a try? How did it turn out for you? So the bread was way too wet and fell right away baking. Should I just use less water? Thank you! I'm sorry Larry, but I'm not familiar with baking bread without yeast. Maybe another reader that has experience baking without yeast will comment. I will post the question on my facebook page and see if any comments. Do you "like" Hope's Kitchen on facebook? If not, please let me know so I come back to this comment and let you know what I hear. I buy Fleischman's or Red Star dry yeast located in the baking aisle. Dry yeast means measuring the yeast as it comes out of the jar (as opposed to adding water to it). I have this bread in the oven right now, and I'm really excited to try it. I was recently diagnosed with a lot of food allergies. I altered the GF blend I have to omit the potato so that I can use it. My blend is only brown rice, sorghum, and tapioca, with a little bit of xanthan gum. 1) Bread machine yeast or instant yeast is your friend. You can add this directly into your flour mix without having to activate it like "active dry yeast"
2) Please keep your yeast in your refrigerator to prolong their life. Opened yeast will last 6 months in your fridge, and 12 months in your freezer. 3) When baking gluten free, air is your friend when it comes to the amount of lift you get in a baked good. Unlike traditional baking, letting your batters beat for a while will incorporate air and help with leavening! Talk to your allergist to determine if coconut oil is ok for your son. Do not try it without your physician's approval. I have never tried other oils, but it might be worth a try. Please let us know if you try another oil and how it turns out. I'm sure others could benefit from knowing that as well. Thanks Mariana! This looks good! My husband is always looking for better gf bread to purchase. I guess I will have to make this one it sounds like a winner! This bread recipe is a miracle! I have never had any luck with recipes or mixes turning out well, some don't even seem to cook all the way through. I tried this, with grapeseed oil instead of coconut, and it turned out incredible! Looks just like the pic and tastes delicious! It's a very simple recipe too! Amazing! So glad I found this, thank you! Grapeseed oil...how great! Thanks for letting us all know of another alternative. I know some people cannot eat coconut oil, so this is a great tip! Thank you! I would eat this even after my gluten, egg, and dairy-free experiment! So heavenly! Thank you for sharing this recipe. Just a note, I'm also sugar-free right now so I was concerned that I would not be able to get the yeast to activate without it. I used a natural sweetener, Xylitol, in place of the sugar (same amount) and it worked perfectly. Can you substitute butter for the coconut oil? I ask because a lot of the recipes in Practical Paleo have the option of coconut oil or butter and we've not noticed a difference with either on those recipes. What is "GF flour"? Is that like rice flour? Hi Jeremy, the GF flour stands for Gluten Free flour. The recipe for the flour mix is at the end of the recipe ( a combination of sorghum flour, millet flour, tapioca starch, potato starch and arrowroot powder). I made this recipe with potato starch and brown rice flour. Turned out great! Tapioca flour is hard to find here in Sweden, I'm glad it worked with just potato starch :) I am very happy to have found this recipe, I've tried many gf vegan bread recipes before and this is the first one who really is superb! Thanks alot! Hi Eidel, I'm so happy to hear it turned out with the ingredients you could find!! Yay! I just discovered netgrocer.com last week and they have all these flours at great prices. Some are even half the cost I find them at other locations. How do I reduce this to one loaf of bread? The recipe only makes one loaf :) Paula's Gluten Free Flour Mixture is enough for 2 loaves and a little extra. If you only want to mix enough flour for one loaf, then cut the flour mixture recipe in half and still use the bread recipe quantities as instructed. Thank you so much for this recipe. I substituted almond flour for the flours shown to keep it grain free and used konjac powder for xanthan gum to keep it corn/grain free as well. It tastes great. I think I removed it from the oven too soon, because it looked great straight from the oven but then sunk in the middle. Still tastes great! Have been searching for a grain free, egg free bread. Seemed impossible to find. Thank you Laura for trying it out. Will make today and let you know. I am wondering about the "flour mix". I have millet flour, brown rice flour & tapioca flour. I wonder if a blend of those three would suffice as the g.f. mix....trying it I think & will let you know how it works! Please do let us know :) I love to have people share their variations to these recipes because I know others will benefit. Thanks! This bread has saved my GF bread eating -- I have tried lots of recipes since going GF a few months ago, and none as good as this one for sandwiches -- truly just as good if not better than wheat bread. My main issue is always having a bread that isn't too dense and I can slice thin for sandwiches without it collapsing, crumbing too much, or just being a brick in general -- and this one is PERFECT! Even the top & sides look just like out of a store-bought loaf, but better :) I used parchment paper to line my pan instead of greasing it and dusting it, and it worked perfectly. So happy to have found this! I should also add that I can eat dairy & eggs, and I wouldn't change this a bit -- it's good enough without them! YAY!!! You may want to try the other recipes I use this dough for, I am adding them now to the end of this blog post. 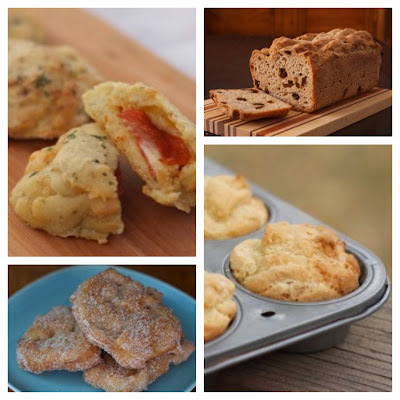 Recipes like Apple Fritters, Pepperoni Pizza Rolls, Cinnamon Raisin Bread and Dinner Rolls. Where do you keep the bread after it is cooled? Fridge, freezer, counter? Have you made two loaves at the same time? If so, same question comes into play. I keep mine in a sealed container on the counter. It lasts usually 3 days. If you don't think you will eat it all soon enough, I would suggest slicing it and freezing it. Take slices out as you need them. I do this occasionally and it works great if I make a sandwich with the frozen bread in the morning, by lunch time it is warmed up to room temperature. It is accurate. Give it a try :) Let me know how it goes. Oh my goodness this bread is amazing. I had to leave about 20 minutes after I started baking it, so I turned the oven off, left the bread in there and hoped for the best. PERFECTION. Where can I find your Bread Machine Gluten Free Vegan Bread recipe please? I've gone through the link but it's not there. Hi, also looking for the link to your bread machine recipe. Thanks! Hi, can honey or another natural sweetener be substituted for the granulated sugar in this recipe. Thanks! Hi Iris, if you want to try honey, then you will most likely need to decrease the amount of liquid in the recipe. Good luck! Thanks for the recipe I dislike the taste of eggs in bread and in so many gf recipes they are essential. I can't wait to try this. I do have a question can you substitute more potato, tapioca or sweet rice flour for the arrowroot? it is not available anywhere near me. One more question do you use glass or metal pan? I used a metal pan and it turned out great. Hi Diana, sorry I missed this comment til now. What ingredient are you having difficulty finding and wanting to substitute? I use a glass pan. Hi. Has anyone had success substituting the arrowroot powder. I have trouble finding it in Canada. I have all the other ingredients of the flour mix. Could I just use more tapioca instead of the arrowroot? I live in a fairly high altitude and noticed my bread ends up on the dry side. Would you recommend adding more or a new ingredient in order to get a more moist outcome? Just made this bread. Very easy to make....very good toasted. Impressed.. Will make again. It did, however , take an hour to rise. That is great news! I hope you are still enjoying it! Hi Melanie, thank you for the recipe. I don't have a mixer. Can I mix by hand using a whisk? You should be able to mix by hand as well. Followed the recipe exactly and OMG!!! My life is complete. No more $6 loaves of bread from the store. Thank you, thank you, thank you!! Anyone have any idea if this recipe would work in a bread maker? Specifically the Panasonic SD-YD250? Hi there, did you try this one in a bread maker? If so, did it work? Thanks! I'd love to view the bread machine gluten free vegan bread recipe but the links dont seem to be working? This recipe is pure genius! Thank you! I am so glad you are enjoying it!! Three cheers to yummy bread! Can someone who makes this bread please try and put the ingredients into more measurable quantities (i.e. grams/ml) - it'll be easier for me to work out quantities than cups for me. I'm not sure if my ingredients are incorrect in quantity or if i'm doing something else wrong. My wife has a wheat allergy so i really wanted to make this for her but I keep failing :(. If anyone can give me any help it would be really appreciated! So sorry to hear you've had a difficult time with this recipe. It is so kind of you to try making this for your wife. I will make this again in the next week and will weigh out the ingredients for you. When you measure the ingredients do you use dry measuring cups for the dry ingredients and liquid measuring cup for the liquid ingredients? I'll keep trying to trouble shoot and see if I can figure out what might be happening. If you do get around to making this please please do right the quantities in grammes down for me. That really would be soo helpful! I have added the grams conversion to the recipe above for the dry ingredients. I hope it helps! If you are not already doing this, try gently spooning the dry ingredients into the measuring cup. This will allow for a more accurate measurement. Keep me posted :) And thanks for trying! That is correct! The lower case t is an abbreviation for a teaspoon and the upper case T is an abbreviation for a tablespoon. :) Have fun with it! Also, like the above poster, can you put in the grams measurements? I've made this twice, first time it over rose then collapsed in the pan in baking and the bottom layer (above the crust) was nor quite cooked. Second time I thought it was perfect, but it was just a massive air hole with dense uncooked stodge at the bottom. Hi Joanthholly, sorry to hear you are having difficulties. You are correct about the t being a teaspoon (tsp) and the T being a tablespoon (Tbsp), I have added the longer abbreviations to hopefully clear that up. :) Also, are you gently spooning the flour into the measuring cup, then leveling it off with a knife? If that doesn't work, I have added the grams onto the dry ingredients in the recipe for you to give it another go. Good luck! Let me know if you have any other questions. Hi there, just found your web site and have been struggling to find a bread receipe I can make and eat. I have alot of allergies. You receipe looks ok except I can't have cocount oil. Is there something I could substitue for it. Thanks Leanne. Leanne, you could try olive oil or canola oil instead of coconut oil and I'm sure it will still turn out. It is a pretty durable recipe. Good luck and I hope you enjoy it! I just made your bread recipe and it is absolutely delicious! This is the best gluten free bread recipe I have tried in the last 4 months and I tried many!!!! Thank you, thank you, thanks you!!! I Now I am happy!!!!! YAY!!!!!!! There are lots of fun uses for this recipe, the Pepperoni Pizza Rolls and the Monkey Bread are my favorites. I tried this bread yesterday and it was fantastic! Amazing taste and texture. Love it! Awesome! So glad you enjoyed it!!! Thanks for sharing and letting me know what you thought. I also have some gluten free flour made by Namaste Foods that I bought. Ingredients are sweet brown rice flour, tapioca starch, brown rice flour, arrowroot powder, sorghum flour and anthem gum. Would this work in recipe. I will try in the meantime and post. That sounds like a little too light of a flour since it is a mostly rice flour and starch type flours. Let me know if you try. I make Paula's mixture because it is a little heavier with half of the ingredients coming from heavier flours, like millet and sorghum. I made the dinner rolls they were delicious but I have to ask you a question regarding the baking time. The first time I made the rolls I noticed they were a little hard so I reduced the baking time to 32 minutes. I just baked them again last night and reduced the baking time to 25 minutes they were not so hard on the outside. I noticed this with the bread also. Are you using a convention oven? I am going to bake the bread again on Sunday but I am going to reduced the baking time to 22-25 minutes. The monkey bread sounds delicious do you have a recipe? The Monkey Bread recipe is http://www.hopeskitchen.info/2014/05/monkey-bread_6.html Looks like I forgot to add the link when I mentioned it, I will add it now and thank you for pointing that out. Have a Happy Thanksgiving Lisa! Hi there! I am looking forward to trying this recipe, but was first looking to try a bread machine recipe you have listed, but the link appears to be broken: http://www.hopeskitchen.info/2012/02/bread-gluten-free-vegan.html. Is it still on the site somewhere? I'm looking forward to hearing what you think of the Cornbread Stuffing recipe! I'm baking my bread today to get ready for Thanksgiving :) The bread machine recipe I recommend for you to try is Karina's at http://glutenfreegoddess.blogspot.com/2009/02/delicious-gluten-free-bread.html I've tried to delete that page but am not able to get rid of it completely :( Good luck and Happy Thanksgiving Terri! Do you use the dough hook to mix? Thanks! Thanks for sharing your recipe with the rest of us breadmakers. Maybe the xanthan gum helps to hold it together. It seems like a relatively small amount but it may be enough to have the bread hold even when it is sliced thinly. How do you get one cup of flour left over after baking two loaves of bread? The flour recipe calls for six cups of flour. What am I missing? I have tried to make this bread 4 times. The crust is fabulous, but the inside is a sticky, gooey mess. I have measured exactly as you suggested, have no problems with the proofing/rising process, it bakes to a golden brown, but the inside is uncooked. I live in Denver (mile-high city/altitude) so after the first fail have tried the following: added a little more flour/less liquid, tried to bake longer (1 hour 15 minutes). This last batch tastes great along the outer edges, but the inside is disgusting, even after toasting the slice it is still totally gooey. Super bummed..... Any suggestions? Is millet flour pearl millet? Thanks! Just had to come back to this site to review this recipe! SO GOOD! I use the Namaste Organic GF flour, which already has xantham gum. So I follow the recipe with 3 cups of that flour. It is so good I have a hard time keeping my non gf kids away from it. I have been making it a few times a week for the last few months and it is incredible! SO THANKFUL to have found it! Saves me tons of money for not-as-good gf bread at the store! This recipe is a keeper and is now a staple for my home! Thank you!! We love this recipe! One of my GF kids is also allergic to eggs so it's been hard to find good recipes for a lot of the baked goods (egg substitutes are not always reliable! ), but we were delighted with this. As an avid baker, I was leary of the 1t. yeast and increased it to 1T. (as most recipes call for) and increased the tapioca and potato starches in place of the arrowroot. How would you do this recipe for a bread machine? Absolutely the ultimate recipe! Thank you so much! I made up the flour mix, but I thought arrowroot and tapioca are the same thing, so I used rice flour instead of the arrowroot. Other than that I followed the recipe exactly and it is sensational! I have made about ten loaves of bread using different recipes over the last few weeks, and this is the only one that is absolutely perfect! I love that it is vegan as I hate the taste of eggs and milk in bread. I wish I could post a photo here of my ultimate loaf! Thank you so much once again! Finally my daughter and I can eat 'real' bread again! Just finished baking the bread and followed the recipe to a T. It fell. Will get 4-5 slices out of it. I'll try it on a smaller pan next time. I am new to baking gluten free for my son and wanted some tips on how to store this bread. It is cooling from the oven now and looks fantastic, hard to wait to cut it! How should I store this to keep it fresh? I wanted to try this by weighing out the flours and not making extra mix. Here are my calculations for one batch in case it saves anyone else time. You can leave off 1 gram of your choice if you want exactly 324g. Densities came from the King Arthur website except for arrowroot. Traditionaloven had arrowroot density. This bread recipe is so incredible. I decided to go on a hunt for the best GFV bread recipe, on my second recipe I found it. I am going to try using a bit more salt and a bit less sugar. I am concerned about how it will rise but I will see how it turns out. Thank you so much for this recipe! My 2 year old grandson was recently diagnosed with a LIST of food allergies and it has been a learning experience! I am an avid baker, and let me tell you I have made at least 25 loaves of gluten free, vegan "bread" that have FLOPPED. I have wasted so many ingredients! I have made this one using what I had in the pantry and then purchased SOME of the ingredients, to finally following directions and buying the ingredients listed! DO THAT FIRST!! It'll save you so much time! This is the ONLY bread, store bought or otherwise that my grandson asks for daily! I still flop a loaf every once in a while when I get in too big of a hurry, but it still makes good toast. I am so thankful for others who came before us who test these recipes and then make them public for those of us who struggle to find foods for the little ones. this bread looks great and best part is its bluten free, i,m gonna try one for my kids. I was confused about the t and T making teaspoon or tablespoon. Found this article very interesting; be interesting now to follow this subject and its effects… keep up you remarkable work. Cleaning throughout the healthcare sector presents a singular set of challenges whereby sanitisation and requirements of cleansing are security essential. No matter whether you're the perfect housewife, whether you might have the busiest lifestyle and nerve-racking job, whether you're a man or a woman, whether you're younger or previous شركة تنظيف بيوت بالامارات, irrespective of who you really are and what you actually do for a residing, and extra nice place after a radical duct cleansing. The highly skilled and skilled crew at Welcome Home Cleansing know the best way to get the job completed correctly in the least amount of time, using the correct tools and cleaners. Mixed with our attention to element شركة تنظيف قصور بالرياض and elbow grease, your own home will sparkle without the chemical stink by essentially the most trustworthy folks. Our Quality of Service Assure affords you safety in case you are not happy with our work. They're form, dependable, skilled, trustworthy and meticulous. You might have a vision for your business and we want to ensure the view out and شركة تنظيف مجالس شمال الرياض in of your facility is clear. Over time, dust, dirt and different kinds of particles can accumulate inside your furnaces' blower, motor, fan blades, warmth exchanger, air conditioning evaporator coils and electrical compartments. Copyright © 2017 - All Rights Reserved - - We can assist you find a carpet cleaner or cleansing service company. Skilled house cleansing in Dublin, obtainable on a every day, weekly, fortnightly or monthly basis. We want you to be comfortable in figuring out that you will obtain the highest افضل شركة تنظيف مسابح بالرياض level of service and respect from every of our maids. No Value Comparison Outcomes Discovered For This Product. See any care plans, options and policies that may be associated with this product. One thing that a lot of شركات تنظيف بالساعات في ابوظبي people care about has to do with the kinds of chemical substances a cleaning service uses. I've made this numerous times now. My son is dairy soy egg gluten tree nuts and corn free. We can't buy bread for him and I've spent years trying to find a good recipe, until now. We changed it a little to suit our requirements ie a premade flour blend, double the yeast, olive oil for oil, guar gum instead of xanthan, and an extra 1/2 cup of water as the our flour is quite thick. This is the one bread even my partner and i as gluten lovers will happily eat. Delicious toasted also! Hi, I was looking for eggless gluten free bread recipe and I stumbled upon your page and gave it a try. It was super success!! I used corn starch instead of potato starch and olive oil instead of coconut oil. Thanks for sharing!! !